HistosMATE is the perfect companion for making the racks and tools devices quickly and easily cleaned off from paraffin residues. Its short 7 minutes protocol makes the tedious cleaning step irrelevant! No harmful low evaporation rate reagents used. 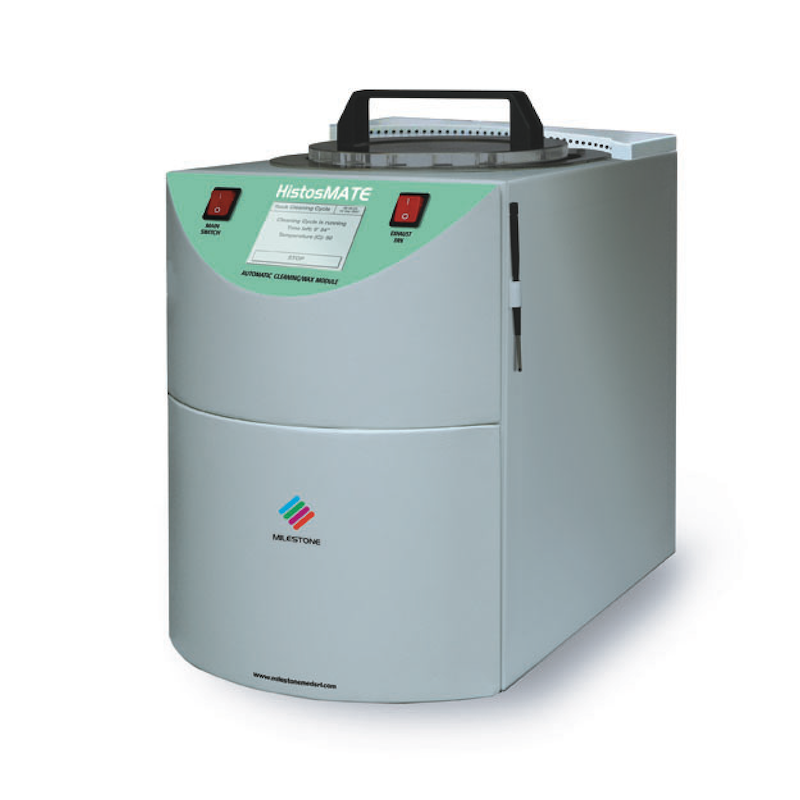 HistosMATE has an on-board active ventilation and it works connected to lab exhausts line or to a vented cabinet. All parameters are preset, just press start and walk away. It warns operators when it’s time to get the cleaning solution changed. HistosMATE can be placed anywhere in the lab thanks to its compact footprint.